We regret that the Old School Hostel is currently closed. It is due to reopen with new owners in the near future. To make an enquiry about staying please contact Paul on 07845-625-005,or email paul.moger@gmail.com. We are in the process of making changes to the hostel and doing this over the next few months. Things always seem to take longer than you anticipate and we’ve had tremendous interest from people wishing to come and stay so we decided to go ahead and open even though initially there will be a lack of pictures on the walls and other touching finishes in the rooms that you’ve come to expect from the Old School Hostel. However, the rooms will be clean and you will get a warm welcome. In the next couple of weeks . I hope to get a system in place where you will be able to place bookings yourself for this website it should be up and running by the end of April. Because all the pictures that were in the rooms and on the walls are no longer available to use, the look and feel of the hostel itself will different. So i have taken down most of the content from the website until I can add information that is more accurate and reflects the hostel as is now. So keep checking back over the next few weeks, for updates. Stop Press! The Old School Hostel has just been voted a HotelsCombined.com Stellar Stays Winner. We rank no.4 out of 583 places to stay in Pembrokeshire, Carmarthenshire and Ceredigion. A unique place to stay offering great value for money hostel accommodation in one of the most beautiful corners of Wales …. Welcome to The Old School Hostel and Budget Bed and Breakfast where we’ve had a lot of fun trying to create one of the nicest budget lodgings you’ll find anywhere. 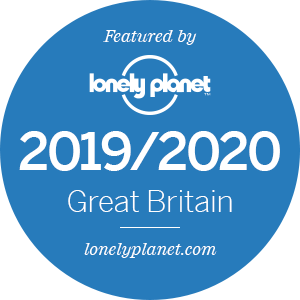 As featured in The Sunday Times Travel Section, The Guardian Online, Coast Magazine, Lonely Planet and The Rough Guide to The Best Places to Stay in Britain on a Budget. We’re chuffed to receive so many lovely comments on Trip Advisor. Out of a total of 153 reviews we’re rated 142 Excellent and 7 Very Good. Situated in the attractive village of Trefin, in North Pembrokeshire, which has a pub and a cafe. We’re not far from the cathedral city of St David’s and only a few minutes walk from the world famous Pembrokeshire Coastal Path. We are ideally situated for our wonderful wild and rugged stretch of the Pembrokeshire Coast Path. The Old School Hostel accommodation is an inexpensive and comfy overnight stop if you’re walking the whole 186 miles of the path, or a section of it. Another great option, allowing you to dump the heavy backpack, is to base yourself here for a few days. A 44 mile stretch of the path is easily accessed for day walks using the splendid coastal bus service. The Old School Hostel is in the centre of the attractive cliff top village of Trefin and it’s only a short stroll to the pub and a cafe. A spectacular coastal walk of less than one hour brings you to the harbour side village of Porthgain, home to the popular Sloop Inn and The Shed, an award winning seafood bistro. A short drive away is St Davids, Britain’s smallest city and the ever popular beach at Whitesands Bay.